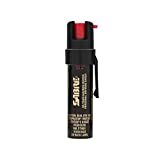 The Sabre Red Key is our pick for the best pepper spray, which has a 4-year shelf life so you can keep it with you for a longer period of time and it will still work. The range is up to 3 meters or 10 feet so it can be helpful in terms of protecting you for a longer perspective. Our step-up pick is the SABRE Police Strength and it has been tested in a liquid chromatography laboratory to make sure that it really works. It is also ISO 9001:2008 certified so it is of quality formulation with a 30% failure rate. The budget pick is the SABRE 3-IN-1 Compact and it has a twist lock safety top to make sure that it does not get opened during times when it is not needed. It has up to 35 bursts in total for its formulation and also has a UV marking dye for the attacker. 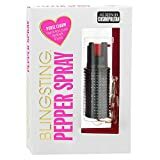 A pepper spray is a kind of defensive chemical that can be sprayed onto an attacker to temporarily blind them so you can make a run for it. This kind of defensive chemical is usually in a small package and can be made to be easily accessible whenever the time comes. It comes as a small bottle that is easy to use overall, and it usually helps those who are in trouble and in need of a defensive mechanism such as a defensive chemical to make their escape. It is crucial for people to have a self-defense chemical mist because it will help them to easily get out of any sticky situation whenever they need to escape such problems such as theft and other crimes in the neighborhood. Having to defend yourself from intruders and attackers is important in any neighborhood that is highly populated because you never know what could happen. Most often, girls should have this kind of defensive chemical to help shield them against danger so that they can make their escape plain and simple. 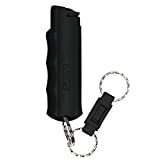 Unlike guns and tasers, pepper spray can be carried around legally in most countries. This is why it is important that you should also abide some laws that are in most states in the U.S. and around the world that require you to think about your self-defense tactics properly, shaking off fear. There is really nothing to worry about, in general, with the use of the defensive chemical, because it is only a safe alternative to tasers. It can only string and burn a person’s eyes if he attacks, and is not really in any way lethal. Tasers are not lethal as well, but the mentality of people who are used to using defensive chemical may be a little narrow, so it is best to use the defensive chemical instead of the taser if you are not sure with the policies in your locality regarding tasers. They are super handy to carry around as a defensive chemical due to the small size. The really cool thing to know about a defensive chemical is that it can be used for defensive purposes without feeling too bulky in your pocket, purpose or bag. It takes almost zero space when you put it in your purse because of its small size, making it ideal for an emergency situation in which you can easily take out the defensive chemical and use it against your attacker, to help you in times of need. Having this kind of dependable, portable and easy to use defensive chemical is crucial wherever you go and live. It is a must-have in your pocket when you walk at night. The dark is always a dangerous spot to hang around, so if your job or hangout is usually involved in the wee hours of the day, then you should consider bringing with you some extra protection, such as the defensive chemical. This can help save yourself or save a life in the process. Some of them even have unique rings to attach to your bag and prevent them from being stolen. These rings can help to keep the defensive chemical in place without having to worry about it being snatched from you or your bag, purse or anywhere like your pocket. It is good to have an item such as a defensive chemical that is handy and can be attached to your bag, purse, pocket and anywhere you like, for as long as it is greatly and directly accessible. Ease of drawing out: because this self-defense chemical mist is made for defense purpose, it is crucially important because if you are unable to draw your chemical mist correctly, you will not be able to respond to criminals or attackers in no time or use it for self-defense purposes. Much like drawing out a gun from a holster, you also really have to consider a defensive chemical that can really be accessible in no time. Effectiveness: the defensive chemical should be super effective and should really string the opponent or attacker, and in this way, you can make your escape in no time before you or someone you care about gets hurt. Having a defensive chemical that is effective means that you get more value for your money in the process. Range: the effective range refers to how far the defensive chemical can shoot the chemical onto the attacker’s face or eyes. The range can be as far as 18 feet or 5.5 meters but your mileage may vary and the defensive chemical may also vary in terms of its mechanism and chemical. The shooting range should be long enough and wide enough in order to be an effective defensive chemical and weapon against intruders and attackers alike. Number of shots: just like a gun or firearm, it is important that the defensive chemical can have many shots so that you can be able to use it again and again when the time comes. Much like a limited camera or a rifle or a handgun, you can be limited to the defensive chemical’s number of shots, which is why you should consider one that has a decent amount of shots possible for it to be an effective defensive chemical that is reliable. Attachments: rings and belt holders can help you out so that you can be able to use the defensive chemical in no time without having to worry about where to attach the defensive chemical in case you want to use it right away, and you do not want the defensive chemical to be easily stolen or going out of hand when you are using it. 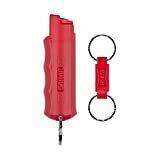 As our top pick, the Sabre Red Key helps prevent accidental discharge due to the key ring that has a quick release and a locking top mechanism on the ignition part. This helps you to only use it whenever needed and to avoid accidents and the like. The distance is up to 5x compared to the other brands, at up to 3 meters or 10 feet, so that you can be able to reach your target easily when being threatened. It only has 30% failure rate because of being thoroughly tested by laboratories. It comes with UV marking dye so that you will be able to distinguish the perpetrator easily when the police catches it due to the UV dye that it leaves behind when you spray on it. The device also produces a powerful stream delivery so it will leave your attacker unable to move properly due to being temporarily blinded. The Sabre Red Key has some flaws but not deal breaker, such as the trigger has a bit of problems for those with really weak hands, but this is a case to case basis only. The SABRE Police Strength is our step-up pick, which has been clearly tested in the liquid chromatography laboratory so it is safe to use and also dangerous for the intruders. Each pack has 18 bursts and each of the formula has a 4-year shelf life so you can be able to use it for the many years to come and its quality will not be diminished that much. In addition, you can be able to determine the culprit with the use of the UV marking dye. Unlike others, it sticks to your target and does not affect bystanders and other people around you. Furthermore, it is safe to use indoors and is certified by ISO 9001:2008 Certification for safety purposes. The formulation of this defense chemical also helps prevent wind blow-back and eliminates airborne particles. It also has 20% greater range than traditional defense chemicals out there. The SABRE 3-IN-1 Compact is our budget pick, in which an accidental discharge can be prevented with the use of the twist lock safety top. In addition to that, the UV marking dye helps to resolve crimes by making sure that the perpetrator gets the mark for ease of questioning. It also has a 4-year shelf life from the date it was manufactured and shipped to your doorstep. Much like other defense chemicals out there, this one is also ISO 9001:2008 certified to make sure that the contents are of quality and will inevitably work against attackers. It is also the defense chemical that is being used by the New York Police Department. It has a range of 10 feet and it is easy to put it back on after using it. What’s more, the formula comes with benzyl alcohol for viscosity so that it will definitely sting your target so that you can make your escape without eh risk of blowback or drift. The formulation also comes with 2.4% capsaicinoid content so that it really gets your attacker good. Adding to the ease of usage and manipulation is the combination of the ergonomic grip and sights so you can aim at your target with good accuracy. The SABRE Red Campus is very good for students and college students who are often going home in the wee hours of the night, which can be dangerous, especially for women. It gives you the immediate access to your defense mechanism device, which is also ISO 9001:2008 Certified due to the inclusion of various chemicals that can potentially temporarily blind your attacker, making it possible for you to escape from the attacker in no time. It uses the good old pepper gel formula for it and it has also been used by the police and the authorities. The defense item sprays up to 10 feet and its pattern can be so wide that it can definitely hit your opponent or attacker without the total risk of wind blowback. At only 0.54 ounces, it is super lightweight to carry and each of these bottles or packs contain a total of 25 bursts in total. 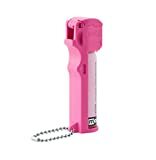 The Mace Brand Pocket has a unique UV dye, which, when sprayed onto your attacker, can help you with marking your target or your suspect, so that when the target or the attacker is interrogated, you can be able to locate some physical evidence that it is the guy or person who attacked you. Indeed, the UV dye has many purposes. It can give you 2-3 second bursts within 20 tries as much as possible. It is made with the good old Oleoresin Capsicum formula and has a range of up to 12 feet in total. It can definitely help law enforcement agencies and even individuals to stay alert and safe of their surroundings as much as possible and to keep their personal defense up. This pocket-sized device is super easy to take with you anywhere and also, the clip is very secure to keep your bottle in its place whenever you need it to be ready. Disguised as a lipstick for the ladies, the SABRE Red Lipstick will be super discrete so that your attackers will have no idea what it is, unless you use it against them. The unique UV marking dye aids in suspect identification so that you can be able to tell the suspect who attacked you. You can also prevent accidental discharge due to the secure lipstick cap so that it can avoid accidents on the go. As with most SABRE products, this one is given a 4-year shelf life and the formulation also reduces wind blow-back so that you won’t hurt anybody other than the attacker, so that you can stay safe as much as possible when you go outside. It is also a passer of ISO 9001:2008 Certification so that it is guaranteed to be of quality. It has a range of 3 meters or 10 feet and it has been tested in a high performance liquid chromatography (HPLC) laboratory. The BLINGSTING Cute Quick is disguised as a cute keychain so it is very attractive and at the same time, you can be able to use it whenever you need to. In fact, any girl heading to college can feel safer with this kind of product, so it is a must-have for those studying far away. It contains half an ounce inside as the formulation. The safety product has a tab that must be slide over about 180 degrees. Furthermore, it is guaranteed to have good strength that is legal by the law, or 10% OC formula (2 Million SHU). This is a must-have for women walking around so that they will be feeling safer wherever they go. It can be used anytime walking towards your house or even to your vehicle and if it is dark outside. It can also add some security to a person’s keys when he or she gets attacked in the process. 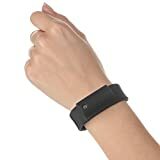 The Little Viper Bracelet is a very discreet kind of device that is in the form of an adjustable silicone wristband so that it will not be obvious to the people that are attacking you that it is a defensive device. This is because a bulky safety spray canister can be unsightly and will leave your attackers knowing and preparing for other things. With this kind of mechanism, no one will know you're carrying a defensive device. It is still clad with the regular 10% oleoresin capsicum that is recommended by the law without the bulky feeling. This kind of safety device can go for up to 3 feet in terms of distance so that your attacker will be warded off, with enough time for you to escape. It also lets you react quickly and this is why this product is almost sold out due to its immense popularity as a personal safety device. The Mace Brand Self is a simple device that has a gun mechanism. It has a range that is pretty far, of up to 20 feet in the average. It can help those who need to identify an attacker with the law enforcement or the police due to the UV dye that it leaves behind to the target. Like most devices that are for defensive mechanism, this one contains 10% OC that is recommended by the law. It has a power stream capability for when it comes down to the mechanism of shooting, and it can shoot for up to 7 in each packet. It is a very good non-lethal defense weapon in which additionally, you can buy two extra canisters so that you will be prepared for the battle. It is also a good thing for those with problems when it comes down to accuracy. There were other defensive chemicals that did not make it to our list because they lacked in effectiveness, wide range and handiness. Part of what makes a good defensive chemical is that it should be able to contain as much portability and effectiveness as possible to make the defensive chemical effective against attackers. Q: What are the benefits of defensive chemical shooting device? A defensive chemical shooting device can help you to prevent dangerous attacks to yourself or to someone that you love and care about. It is a halting device that can help to temporarily blind the person and keep them from attacking you, so that you can easily make a run for it. The fact of the matter is that the defensive chemical shooting device is absolutely safe and not a lethal weapon. It does not kill people like guns, provided that it is on the safe side or levels of capsaicin when you use your defensive chemical shooting device. The great thing about defensive chemical shooting devices is that unlike tasers, which can be illegal in some states and countries, the defensive chemical shooting device is mostly legal in many states and countries in the world. However, you still need to watch for airline advisories and state permissions for that. The most important thing about the defensive chemical shooting device is that it can allow you to escape in the nick of time when you feel that you have to get out of the situation right away in order to avoid imminent danger at hand. Q: What are the contents of defensive chemical shooting device? A: To make defensive chemical shooting device, you just need 10% of Oleoresin Capsicum or OC, which is either oil based or water based. Most of the formulations adhere to this because it is what is required by the law, and it is non-flammable and it is non-toxic. The range can vary depending on the mechanism of shooting. Q: What are the different delivery systems for defensive chemical shooting device? Stream is straightforward and is the most common of all. It is ideal for indoors use. If the defensive chemical shooting device is prayed as a stream type then it is usually more straightforward and simple to use. It is easy to aim to the target’s face. This makes it a very popular type of defensive chemical shooting device to use among other types. It is also the most commonly found on shops if you want to choose an appropriate and working defensive chemical shooting device. Fogger types are also easy to aim because of the mechanism that is used with this kind of defensive chemical shooting device. Foggers, however, are prone to blow back. This is why they are less likely to be used for a defensive chemical shooting device that is for beginners. This is why if you choose a defensive chemical shooting device and you have fear of getting the blow back then you should consider stream type defensive chemical shooting devices, instead. This one is deeply penetrating and very painful due to the gel mechanism. They are kind of more expensive than the other types of defensive chemical shooting devices, but they are the most effective of all types of the defensive chemical shooting devices out there. Q: What are the different forms of self-defense that you can carry instead of a gun? The tactical knife is great form of self defense weapon because it can usually be permitted in some airlines depending on the rules. It can be used in situations where you are not allowed to carry a gun or a large knife. This one works like a defensive chemical shooting device in the sense that it gives a sense of electric charge, but not electrocutes the person or the attacker, leaving just enough time to escape. The defensive chemical shooting device is a great choice because of its wide legality as compared to the taser. All you do is to use the defensive chemical shooting device onto the attacker’s face and he or she will be immobilized so you can make your exit. This is no ordinary pen, as it is able to slice through things due to the bladed edge. This one is used for special and covert operations by the police, and it can also be used if you are stuck in a situation where you cannot easily budge out of an area without a sharp weapon. Don’t be fooled by this kind of flashlight – it is also made for tactical purposes due to the jagged edges on the side of the light, which can be used for breaking windows of cars and glass. Some of these even have whistles. The purpose of the alarming keychain is to call for help so that the surrounding people or authorities can rescue you from the attacker. It can go for as loud as 130 decibels and this means that it will be really loud (just make sure you cover your ears). It can also drive away the attacker due to the noise. Q: What do the laws say about defensive chemical shooting devices? 1. The amount of chili should be between 2% and 10% of capsaicin. 2. The defensive chemical shooting device is legal in all 50 states of America (USA). 3. However, with that, shipping to several states can be limited depending on state rules. Q: What are the cons of using defensive chemical shooting device? The problem with the defensive chemical shooting device is always the blowback. The blow back happens when the defensive chemical shooting device has been shooted in the opposite direction to the wind, which can cause the defensive chemical shooting device to go back to your direction, hitting you instead. This is why there are specifically designed defensive chemical shooting devices that can reduce the chances of blowback. There are some states around the US, as well as some countries, that could have some shipping restrictions with the use of defensive chemical shooting device. The problem with most defensive chemical shooting devices is that they can be finicky to use, hence some never get to be used properly. There are also poorly designed ones that are hard to aim to your attacker. 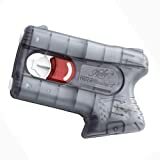 Q: How do tasers compare with defensive chemical shooting devices? Defensive chemical shooting devices are usually more affordable. Tasers are usually more expensive. Q: What should you do if you get attacked in a large area or public place? 1. Either run or defend yourself. 2. Take your family, friends or colleagues to safety. 3. Call the police as soon as possible. 4. Ensure there are witnesses to the scene of the crime. 5. Get a trustworthy lawyer to defend your side. Q: How can women stay safe when being sexually assaulted? 1. Avoid using your phone when you’re walking in public places. 2. Stay alert of your surroundings and be wary of suspicious people. 3. Keep yourself calm and look for ways to exit the area and get away. 4. Use any kind of self-defense necessary or available. 5. Tell the authorities as soon as possible. Q: Is defensive chemical shooting device considered a dangerous weapon? A: Fortunately, no, as concluded by the DC court. There were many states that had doubts with defensive chemical shooting device’s legality and safety, but it has been proven that it is not really a dangerous weapon, hence this is why many women should have it in their bag for emergency purposes. Q: What are some key emergency numbers that are used around the world? Q: What does it mean to be “car smart”? 1. Lock the door as soon as you get into the car. 2. It would be better if the door locking mechanism isn’t simultaneous. 3. Make sure you have someone with you to walk to your car. 4. Hold your keys firmly to make it a self-defense weapon when going to your car. 5. Don’t unlock your car when it’s still too far away from you, to avoid being stolen by others. Q: Why shouldn’t you post on social media about your location? A: That’s because the bad guys can potentially use your location to bait you into their trap. Sure, social media seems to be a fun and classy way to brag about your trip to the Bahamas, but in the long run, if some dirty neighbors find out your home has no one, they’ll take advantage of it. To prevent this from happening, be considerate about what you post. Consider not using locations or go for a late posting type of process. You can also private your photos or simply just don’t post too much, unless you’re famous and you just need to update your followers about a certain event. Note that even celebrities don’t spam about their location that much. Q: What is intuition and why is it important in self-defense? A: Intuition is that “gut feeling” that you may feel that something seems off or not right, or maybe something good or bad may happen within the day, but you can’t explain it or what it is. Relying on your intuition can sometimes be good when it comes down to preventing yourself from imminent danger. Q: Can doing cardio exercises help me with self-defense? 1. You will be able to escape your attacker quicker by running. 2. You can be able to wrestle with your attacker with more force. Q: What are the most effective parts of an attacker’s body that you can hit in order to escape? Q: If you decide to fight instead of fleeing from an attacker, what can you do? If you make these short moves then you can be able to throw down your opponent. Remember that the moves should not be too classy, unless you’re very skilled with martial arts, and short and brief moves are all you need in order to survive. These are very important parts of your body that you may need to use effectively in order to throw down your opponent. Yelling can help you to alert people who are all around you to ask for help. If there are authorities around the area then you can ask them for help as well and respond to your situation. You can definitely hit your opponent much more if you use your hips to gain more momentum, much like with dancing and with martial arts. This is common sense for most people, but when you want to throw a punch or grapple someone, make sure you take it by surprise, so that you will not fail in your next move at all. Remember that you need to breathe properly when it comes down to fighting someone. You also need to focus not just on your enemy but also to some other things like if there’s a near exit or other things you can do in order to escape quickly when you need to escape from a fight. If you feel like being a wrestler at WWE, you can pick up or make use of those TLCs (tables, ladders and chairs) in order to weaken your opponent. In this way, you can call for help or escape momentarily from your attacker. If you want to put up a fight then you should be prepared in doing so. Injury is something that you’ll most likely get numb from when you are in the middle of a fist fight, anyway. Q: What should you wear to increase the chances of escaping an attacker? 1. If possible, avoid wearing heels. Keep a pair of running shoes in your bag if you need to walk alone. This can help you to run away from your attacker much better. 2. Wear loosely fitting clothes that do not restrict your movement. The loosely fitting clothes can help you to run faster as well, such as with the use of jogging pants. 3. For girls, it is best to tie your hair so that it does not get caught in the heat of the moment. Tying your hair while outdoors can also make it easier to go against the wind. Q: Why should women learn self-defense martial arts? 1. Martial arts was developed for self-defense, not for thrashing people around. 2. You also gain a sense of readiness so that you can protect yourself from imminent danger. 3. Martial arts can also keep you fit, so that when you have to flee, you can do it faster. Q: What’s the importance of not talking to strangers or promotion people? A: That’s linked to staying safe, as we all know that when we were kids, we were taught not to talk to strangers because unexpected thing may happen. Many people like to fool people about special offers, carrying your luggage, giving you a housing loan and others. The most important thing you should do when on a public place is to simply say “no”, because people out there are out to hypnotize you, kill you or make money from you. 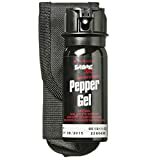 In the long run, we think that the Sabre Red Key is our pick for the best pepper spray due to the shelf life of up to 4 years so you can be able to use it for a very long time. Its range of up to 10 feet or 3 meters is good enough to deter any kind of attacks against you so that you can be able to make your timely escape in no time.